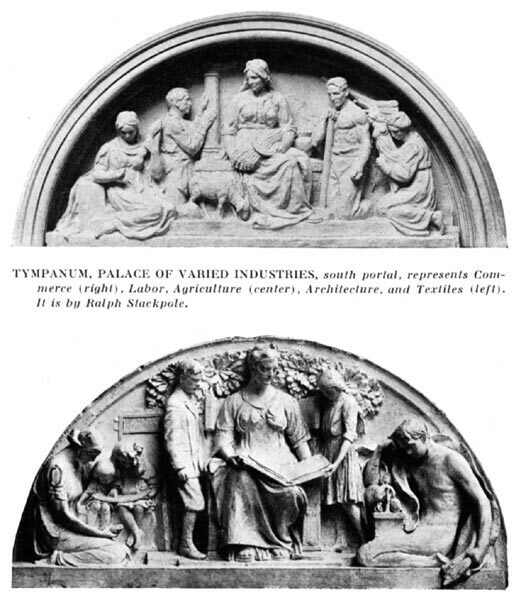 Above: Tympanum, Palace of Varied Industries, south portal, represents Commerce (right), Labor, Agriculture (center), Architecture, and Textiles (left). It is by Ralph Stackpole. Below: Tympanum, Palace of Education, Gaston Gerlach, sculptor, pictures the different ages of learning, from infancy to maturity.